If you run a business, protecting your business image plays a key role in the continued growth and success of your company. Pest control is one important component that should never be over-looked while you build your business. Extermination Services has been protecting and servicing the commercial sector for almost 2 decades. Every business environment is different, be it a restaurant, supply chain warehouse, commercial plaza, office buildings or Government inspected manufacturing plant. Our pest control programs are always customized to meet your specific needs, using IPM Techniques (Integrated Pest Management). 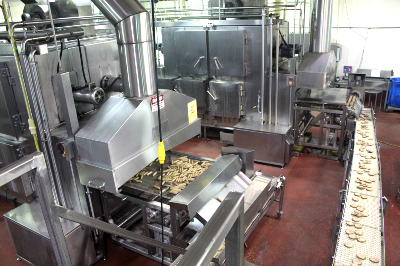 Many competitor pest control companies use a “Cookie Cutter” approach, which can leave the client often unprotected and often costs are the same if not higher than our proven integrated approach. What does this mean to you, and how is this different from our competitors? To start, any Service Technician that we send to your door will have a minimum of 15 Years industry experience. The key to any successful IPM program starts with a thorough inspection, knowledge of pest biology, habits, and safe chemical application techniques. We explore all available control options and techniques, and work with the most viable solution for you and your business. For example, differences between a chemical approach and a mechanical approach for a mouse problem, what are the differences, and advantages of each? We go through the treatment options with you, pros and cons, and recommend the best treatment solution. 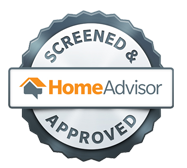 We are not only protecting your business, we strive to protect our ever growing fragile Environment with approved Pest Management techniques and chemicals. 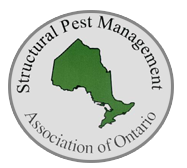 We are a recognized member of CPMA (Canadian Pest Management Association) and SPMAO (Structural Pest Management Association of Ontario) We are Government Licensed and fully insured. We do what we are best at, so you can focus on what you do best!